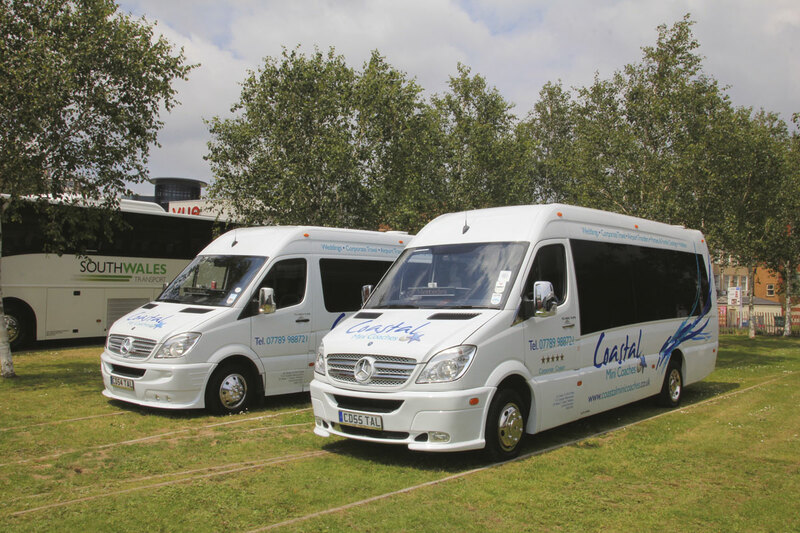 A small number of PCVs have regularly participated in the Festival and organiser Ashley Lovering saw the opportunity for a specific area of the event where Welsh coach operators could promote themselves, their vehicles and services on offer. The area chosen was the grassed hard standing in front of Swansea’s National Waterfront Museum, on one of the main walking routes between the city centre, the marina and the beach. The area was once extensively covered in railway sidings and much of the track layout has been replicated in edging stones throughout the area. Over twenty vehicles participated in the display with vehicles from eleven operators and a number of heritage vehicles from the Swansea Bus Museum and the Bus Depot Barry. 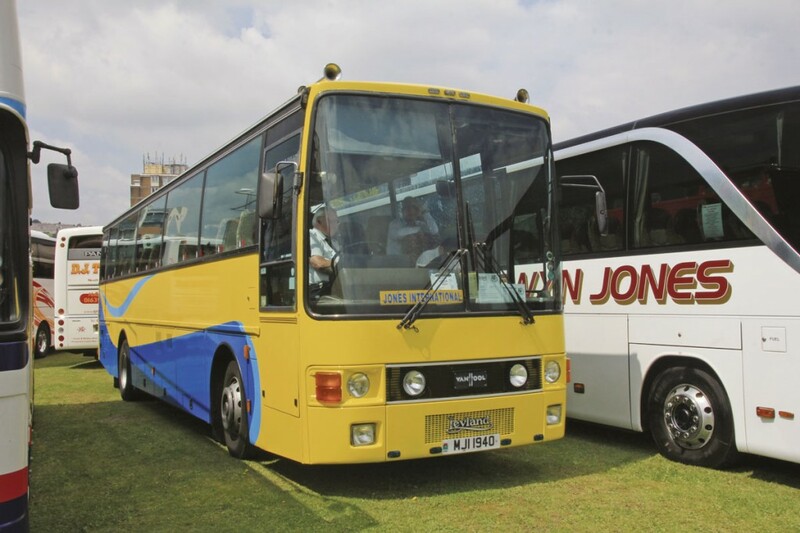 Marking their 60th anniversary, D J Thomas entered four vehicles including a Setra S415GT HD in their gold livery for coach holidays and two Volvo coaches in their white based scheme with Plaxton and Van Hool coachwork. Completing their display was a Plaxton President double decker whilst a further vehicle, a gold liveried Volvo 9700 tri-axle, was promoting the company on the other side of the city centre. Edwards of Llantwit Fadre showed the black liveried Van Hool TX21 Altano which took away an armful of awards at the UK Coach Rally in May. Normally employed as the Cardiff City team coach with extensive use of tables, it has gained additional seating during the summer for use on the company’s Red Dragon tour programme alongside two former Parry’s Van Hools. Also promoting their tour and holiday programmes were Silcox Coaches with a Bova Futura, Gwyn Jones with a Setra S415HD and James European with a plain gold liveried Van Hool Alizee. 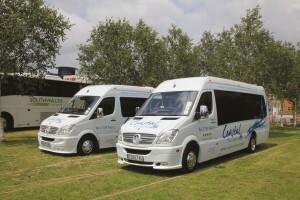 Private hire services were on offer from Coastal Mini Coaches of Pembrey, Carmarthenshire with a well presented pair of Mercedes-Benz Sprinter minicoaches, one with trailer, and South Wales Transport with a Jonckheere Mistral bodied Volvo B12M. 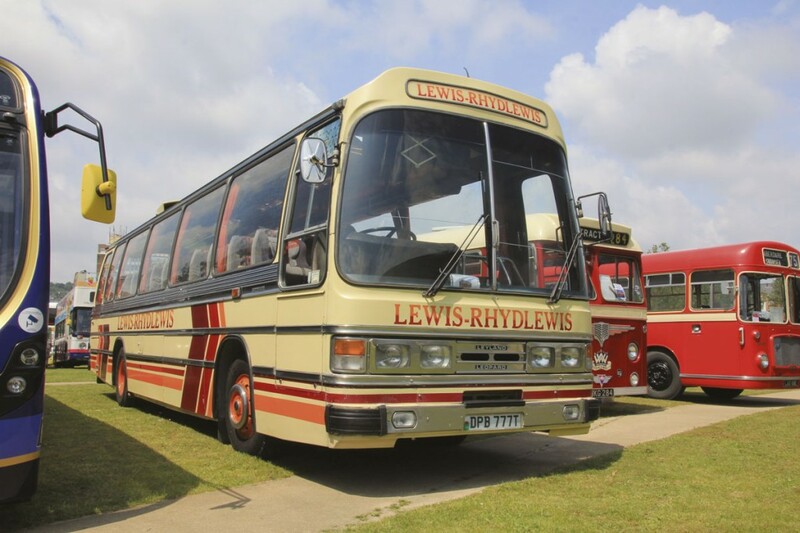 There were two heritage coaches in regular use entered, a 1986 Leyland Tiger with Van Hool T8 Alizee coachwork from Jones of Llandeilo, and a 1978 Duple bodied Leyland Leopard from Lewis-Rhydlewis in Ceredigion. 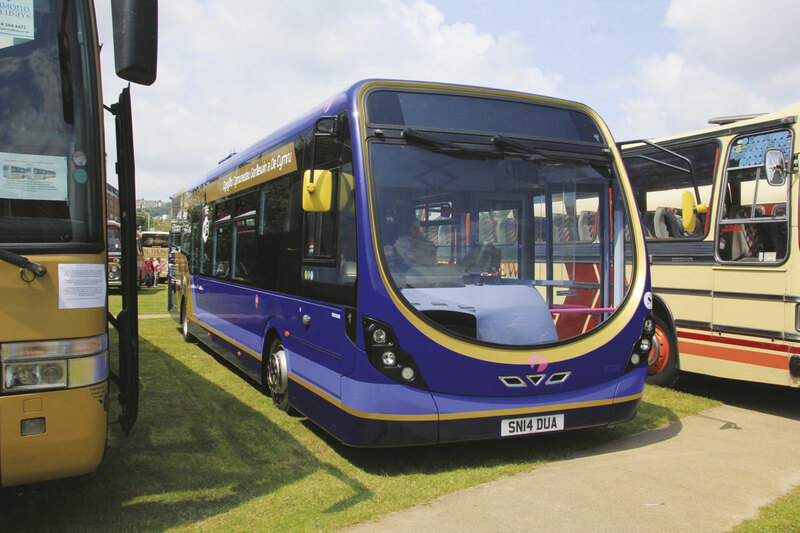 Representing the major local service bus operator, First Cymru, was a recently delivered Wrightbus Streetlite DF from Port Talbot depot in the newly introduced blue and gold colour scheme for major interurban routes in the area. Ridgways Coaches from Port Talbot entered a low floor Dart used on local services in the area. Oxford Diecast are one of the main sponsors of the event and showed their wares on a large stall in the city’s main square. Fortunately this was covered as the hot and often sunny weather was replaced by a heavy shower as the event came to a close. Oxford Diecast’s latest PCV release, the Weymann Fanfare was available in the original South Wales Transport colours recognising the recent celebration of 100 years since that company’s foundation. Talking to Ashley towards the end of the day, he appeared happy with the response to the Welsh Coach Rally and saw opportunities to build on the idea in future years.